We’re finally at the home stretch. The selection of films is completed, the invitations have been sent and many Greeks schools have already arranged their trip to Pyrgos as well as many of our international guests. 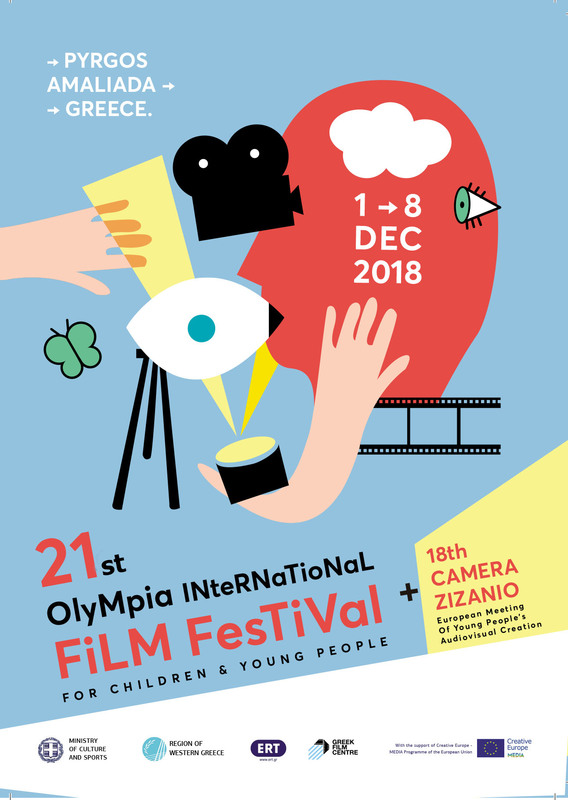 Guests of this year’s Zizanio Camera, along with the 20th Anniversary of International Olympia Film Festival for Children and Young People, will have the chance to attend a rich program of 238 films from 40 countries! Note: this selection was made from 1800 films that were submitted to Camera Zizanio. In Greek Section: 123 films from all regions of Greece, in three age categories: Category A’ – 38 films / Category B’ – 44 films / Category C’ – 30 films. In European Section: 97 films from 27 countries. The list of European films https://camerazizanio.net/2017-2/european-section-official-selection/. In International Section: 19 films from 10 countries (Argentina, Peru, Brazil, USA, Australia, Armenia, Azerbaijan, Armenia, India, Iran and Iraq). Camera Zizanio’s catalogue is at the layout stage and in a few days will be available through our website. Stay tuned as we will be gradually revealing you the rich program of events along with the film screenings. Workshops, seminars, master classes and many parallel events.